Josh Hutcherson has quickly become one of Hollywood's most accomplished young actors. Josh has already received many accolades throughout his career including the 2012 Cinema Con award for “Breakthrough Actor,” MTV Movie Award for “Best Male Performance,” the Teen Choice Award for “Best Actor: Sci-Fi/Fantasy” and Logo’s New Now Next Award for the “Next Mega Star.” Josh is best known for his portrayal of Peeta Mellark in the highly successful franchise, The Hunger Games alongside Jennifer Lawrence, Liam Hemsworth, Stanley Tucci, Woody Harrelson and Elizabeth Banks. The Hunger Games is based on the novels by Suzanne Collins and all four films in the franchise set enormous box office records. Josh can currently be seen in Hulu’s original sci-fi comedy series, “Future Man,” from executive producers Evan Goldberg and Seth Rogen, which is about to begin its second season. The series, which Hutcherson also serves as a producer on, follows a janitor who must battle an intergalactic invasion and also co-stars Eliza Coupe and Derek Wilson. Josh recently wrapped production on the thriller Burn, which he starred in alongside Suki Waterhouse. 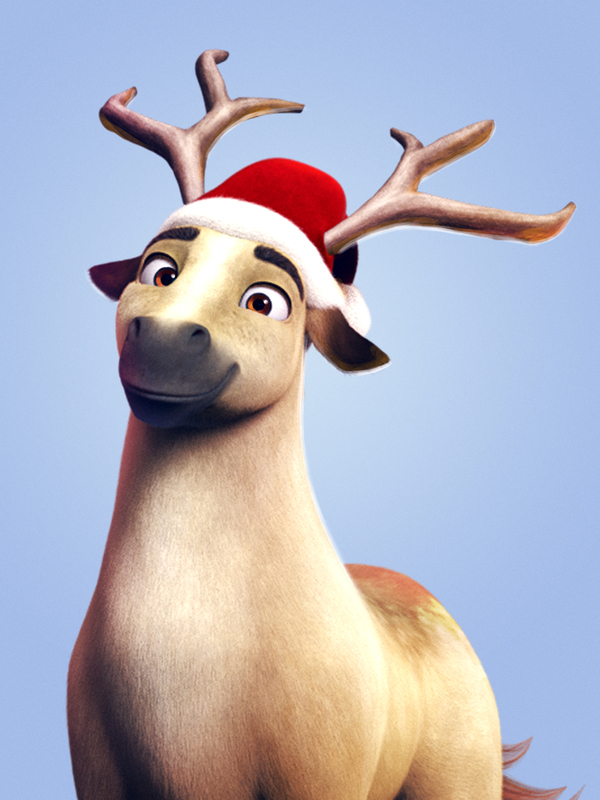 Additionally, Josh lent his voice to the title role of Elliot in Awesometown Entertainment’s upcoming animated film, Elliot: The Littlest Reindeer. In 2017, Josh co-starred in two James Franco directed films: The first, In Dubious Battle, follows an activist who gets caught up in the labor movement for farm workers in California during the 1930s and also stars Franco himself, Robert Duvall, Selena Gomez and Ed Harris; and The Disaster Artist, a satirical drama that tells the story behind the creation of Tommy Wiseau’s The Room, widely regarded to be one of the worst films ever made. The film premiered at last year’s South by Southwest Film Festival to rave reviews. In addition, Josh also completed production on a third James Franco film entitled The Long Home, a drama set in the 1940’s in rural Tennessee where a young man goes to work for a bootlegger unaware that he had murdered his father 10 years prior. Josh and Michelle Hutcherson’s production company, Turkeyfoot Productions, partnered with Condé Nast Entertainment and Indigenous Media to launch five short films as part of “The Big Script,” an incubator featuring rising millennial filmmakers. The project aims to find and produce independently created content that can thrive on digital and emerging platforms and is driven by unique voices. Each of the short films was released on the Condé Nast-owned digital platform, The Scene. In addition to playing a prominent role in selecting the original scripts, producing all five films and mentoring the filmmakers, Josh Hutcherson made his directorial debut in the film, Ape, the short in which he also stars. Additional film credits include Escobar: Paradise Lost a drama about the notorious kingpin, Pablo Escobar; the animated film Epic; Red Dawn; Journey 2: Mysterious Island; the independent feature film Detention, in which Hutcherson also served as Executive Producer; Seven Days in Havana, an omnibus film which features seven shorts directed by seven different directors; Lisa Cholodenko’s Academy Award nominated film, The Kids are All Right, which aslo garnered Screen Actors Guild, Independent Spirit Awards and Golden Globe nominations; The Vampire’s Assistant, opposite John C. Reilly and Salma Hayek; Carmel; Journey to the Center of the Earth 3-D, the first ever high definition 3-D live performance feature; Bridge To Terabithia; Winged Creatures; Firehouse Dog; RV; Little Manhattan; Zathura; Kicking and Screaming; Howl's Moving Castle; and The Polar Express. Josh won Young Artist Awards for “Leading Young Actor” for his roles in Zathura and Bridge to Terabithia. In addition to acting, Josh is extremely involved with his charity organization, Straight But Not Narrow (SBNN). SBNN is an ally organization that prepares and trains young adults on how to become allies of their LGBTQ peers. For the past three years, Josh has hosted a variety of sporting events to raise funds and awareness for the organization. In 2012, he was honored with GLAAD’s “Vanguard Award” for his work with the LGBT community. Hutcherson currently resides in Los Angeles. Samantha Bee has quickly established herself as having one of the most unique and sharp comedic voices on television with her late-night show Full Frontal with Samantha Bee. Born and raised in Toronto, Canada, Bee began her career performing as a member of the all-female sketch comedy troupe The Atomic Fireballs. In 2003, Bee joined Comedy Central's The Daily Show's "Best F#@king News Team." Bee departed The Daily Show in 2015 and currently holds the title for being the longest-serving regular Daily Show correspondent of all time (12 years). In 2016, Bee received global recognition from the success of her very own weekly late-night comedy series, Full Frontal with Samantha Bee, which premiered Monday, February 8, 2016 on TBS. Full Frontal offers a unique satirical take on weekly news and explores other important stories in-depth that have been largely overlooked by more traditional media outlets. Full Frontal received rave reviews, and the show was picked up by TBS for a full season within weeks of its premiere, and the show is currently in its third season. In a landscape of male late-night talk show hosts, critics have appreciated Bee's "fiery and fierce" delivery (The New York Times) and have embraced Full Frontal as a "daring, innovative addition to the late-night slate" (Entertainment Weekly). The show’s glowing reception earned Bee and Full Frontal three Primetime Emmy nominations in 2017, including “Outstanding Variety Talk Series” and “Outstanding Writing For A Variety Series,” for which the show also received a nomination in 2016. In 2018, Full Frontal was again nominated for a Primetime Emmy Award in the category of “Outstanding Variety Talk Series,” as well as “Outstanding Interactive Program,” “Outstanding Writing,” and “Outstanding Directing” for a Variety Series. Bee and her husband Jason Jones also co-created the half-hour comedy series, The Detour, which is currently going into its fourth season on TBS. The Detour, which stars Jones, is inspired by their personal experiences on family getaways. The show follows Nate (Jones), Robin (Natalie Zea) and their two kids, Delilah and Jared, for what Nate believes will be the adventure of a lifetime on a road trip to Florida, which quickly turns into a disaster. The series was renewed for second season ahead of its April 11, 2016 premiere. 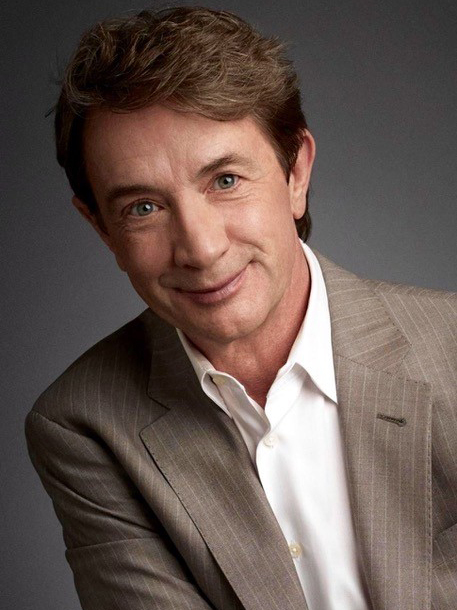 Martin Short, a celebrated comedian and actor, has won fans and accolades in television, film and theater since his breakout season on “Saturday Night Live” over 30 years ago. Short won his first Emmy in 1982 while working on Canada’s SCTV Comedy Network, which brought him to the attention of the producers of “SNL.” He became an “SNL” fan-favorite for his portrayal of characters such as Ed Grimley, lawyer Nathan Thurm and “legendary songwriter” Irving Cohen. His popularity and exposure on “SNL” led Short to cross over quickly into feature films. He made his debut in “Three Amigos” and followed with “Innerspace,” “Three Fugitives,” “Clifford,” “Pure Luck” and “Tim Burton’s Mars Attacks.” One of Short’s most memorable roles was in the remake of “Father of the Bride” as Franck the wedding planner, a role he reprised a few years later in “Father of the Bride Part II.” Short lent his voice to the animated film “Madagascar 3” and Tim Burton’s Oscar-nominated “Frankenweenie.” An accomplished stage actor, Short won a Tony, Theatre World Award and an Outer Critics Circle Award for his role in the revival of “Little Me.” He was also nominated for a Tony and took home an Outer Critics Circle Award for the musical version of Neil Simon’s “The Goodbye Girl.” Short co-wrote and starred in “Fame Becomes Me,” prompting The New York Times to describe Short as “a natural for live musicals, a limber singer and dancer who exudes a fiery energy that makes you want to reach for your sunglasses.” Short most recently appeared on Broadway in Terrence McNally’s “It’s Only a Play.” A two-time primetime Emmy winner and multi-nominated for both primetime and daytime Emmys, Short returned to television in 1998 for the miniseries “Merlin” and host of “The Martin Short Show.” In 2001, he launched the popular comedy “Primetime Glick and in 2010 received critical acclaim for his role in FX’s drama series “Damages.” Short has also returned to “SNL” as host three times and performed in the series’ landmark 40th anniversary special in February 2015. Other recent television credits include “Hairspray Live!” “Maya & Marty,” “Mulaney,” “How I Met Your Mother” and the critically acclaimed PBS series “Cat in the Hat Knows a Lot About That.” Short’s New York Times bestselling memoir, “I Must Say: My Life as a Humble Comedy Legend,” was published in 2014. In 1994, Short was awarded the Order of Canada — the Canadian equivalent to British knighthood. He was also inducted into the Canadian Walk of Fame in June 2000. This past year he received a Lifetime Artistic Achievement Award from the Governor-General of Canada. Currently, Short is on a national tour with his good friend Steve Martin in their comedy show titled “An Evening You Will Forget For the Rest of Your Life”. An actress with talent and poise, Morena Baccarin has built an impressive list of credits throughout her career, challenging herself with each new role. Baccarin can currently be seen reprising her role as Vanessa in 20th Century Fox’s hit, Deadpool 2. The film released on May 18th is directed by David Leitch with Baccarin starring alongside Ryan Reynolds and Josh Brolin. The sequel follows foul-mouthed mutant mercenary Wade Wilson / Deadpool (Reynolds) who brings together a team of fellow mutant rogues to protect a young boy of supernatural abilities from the time-traveling mutant, Cable (Brolin). The film grossed $125 million in its opening weekend. The first installment of Deadpool, released in 2016, grossed more than $783 million dollars worldwide and was the 8th top grossing domestic film of that year. Baccarin will soon be seen in the 5th and final season of FOX’s crime drama Gotham. She reprises her role as “Leslie Thompkins” opposite Ben McKenzie, Donal Logue and David Mazouz in the series based on DC Comics characters in Gotham City years prior to Batman’s arrival. Baccarin captured the attention of audiences and critics alike for her moving and Emmy®Award-nominated performance on Showtime’s Golden Globe® and Emmy®Award-winning drama series, Homeland. In the critically acclaimed series, Baccarin starred as “Jessica Brody,” the bereaved-but-moving-on widow of a U.S. Marine long presumed dead in Iraq. Baccarin starred alongside a notable cast including Claire Danes, Damian Lewis, and Mandy Patinkin among many others. In 2014, Baccarin reprised her role as “Erica Flynn” in the wildly popular CBS show, The Mentalist. In 2012 and 2013 she made a guest appearance on CBS’s award-winning series, The Good Wife. Prior to this, the actress starred in ABC’s drama sci-fi, V, where her character shapeshifted between being a beautiful woman and an extraterrestrial alien when crossed. Other credits include a starring role on the TNT series, Heartland, opposite Treat Williams as well as appearances on Las Vegas, How I Met Your Mother and The O.C. Baccarin was also cast as a series regular in Joss Whedon’s critically acclaimed show, Firefly ,as well as in its big-screen adaptation, Serenity. Beyond film and television, Baccarin has appeared on stage in a number of theatrical productions such as Emily Mann’s The Seagull in the Hamptons at the McCarter Theatre in Princeton, New Jersey; as well as Theresa Rebeck’s, Our House, directed by Michael Mayer and starring Christopher Evan Welch and Jeremy Strong. Aside from acting, Baccarin is actively involved with the nonprofit organization, International Rescue Committee (IRC). The IRC’s mission is to provide emergency relief, post-conflict development and resettlement services; to work for the protection of humanitarian rights; and to advocate for those uprooted or affected by violent conflict and oppression. Baccarin joins a dynamic group of IRC Voices, prominent young artists including Rashida Jones, Sarah Wayne Callies and John Legend, all of whom are committed to representing the world’s most vulnerable on the world’s stage. Baccarin was born in Rio de Janeiro and moved with her family to New York at the age of 7. She is a graduate of the prestigious Juilliard School where she helmed her talent in a number of theatrical productions including Mary Stuart, The Importance of Being Earnest and Love’s Labours Lost. Baccarin currently resides in New York City with her husband and two children. 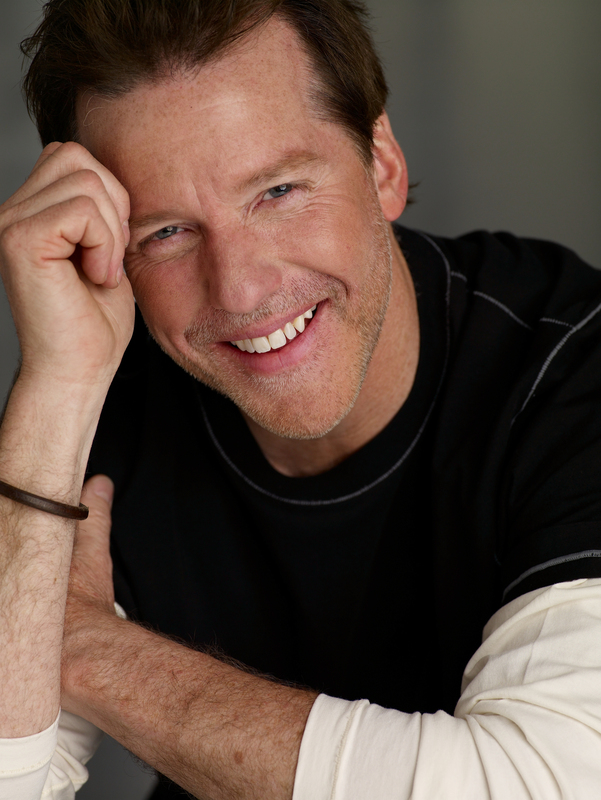 Ventriloquist Jeff Dunham is a global comedy superstar and one of the world’s most inventive entertainers. Dunham, a Guinness World Record holder for “Most Tickets Sold for a Stand-up Comedy Tour,” has built an entertainment empire over years of non-stop touring and innovation. With 10 million followers on Facebook and 1.6 million YouTube subscribers amassing over a billion views, Jeff has carved out his own unique space in the comedy world. Jeff’s colossal following has led to record-breaking viewership with his comedy specials on Comedy Central, NBC and his latest, Jeff Dunham: Relative Disaster, a special he filmed in Dublin, Ireland, which is currently streaming on Netflix. A Texas native, after graduating from Baylor University, he moved to Los Angeles and soon became a sensation on the national comedy club circuit. 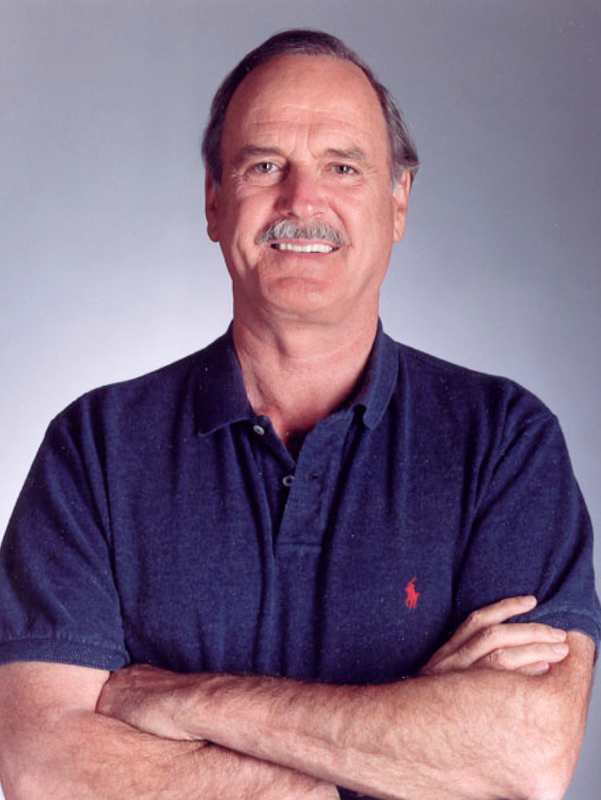 He later conquered the comedy world by becoming a multi-platinum selling DVD artist and achieving record-breaking ratings on both cable and network TV. Dunham’s 2015 stand-up special, Unhinged in Hollywood, debuted on NBC Primetime and ranked as the time period’s top non-sports program on the Big 4 in every key measure. The special was re-broadcast on Comedy Central and was the top rated special of the year for the entire network. Dunham’s previous stand-up specials, Arguing with Myself, Spark of Insanity, A Very Special Christmas, Controlled Chaos, Minding the Monsters, and All Over the Map have garnered record-breaking numbers by either claiming ‘most watched’ or ‘highest rated’ on Comedy Central. Dunham has made many cameo appearances across television and film, from the Emmy Award-winning comedy series 30 Rock, Angie Tribeca, and Dinner for Schmucks, starring Steve Carrell and Paul Rudd. His autobiography, All By My Selves: Walter, Peanut, Achmed and Me, landed Dunham on the New York Times’ Best Seller list three weeks in a row. Dunham has also been awarded Billboard’s Top Comedy Tour for three years based on box office sales. Dunham is currently on the road through the end of the year with his cast of characters. Adding to an amazing list of recent accomplishments, Dunham’s contribution to the world of show business and comedy was recently recognized when he received a star on the Hollywood Walk of Fame, commemorating over two decades of superstardom.